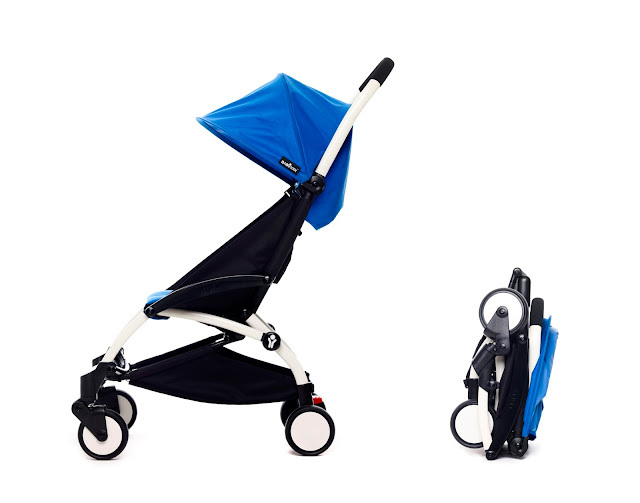 Through My Eyes: Who Wants to Buy a BabyZen Yoyo+ Stroller? 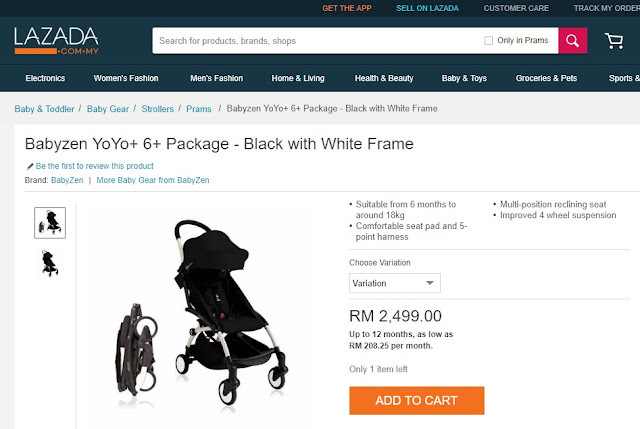 Who Wants to Buy a BabyZen Yoyo+ Stroller? UPDATE: THE HUSBAND HAD MANAGED TO CONVINCED ME NOT TO SELL THIS OFF (EVEN THOUGH I COULD MAKE GOOD USE OF THE MONEY EARNED FROM THIS), AND TO KEEP IT FOR OUR FUTURE CHILD. I GAVE IN AFTER MANY ROUNDS OF CONVINCING. SORRY FOR THOSE WHO IS STILL ASKING ABOUT THIS! 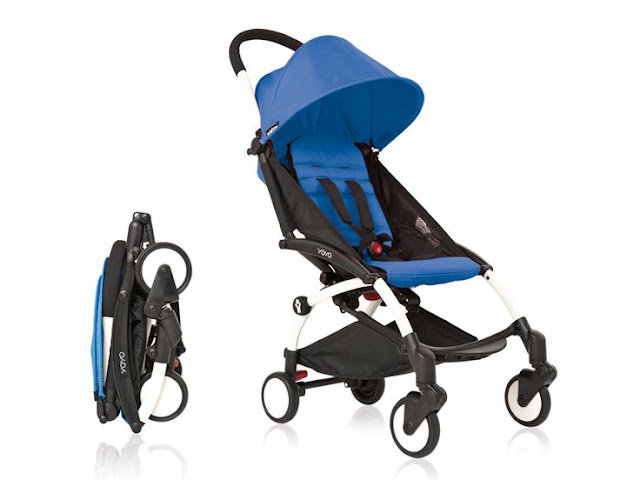 BRAND NEW BABYZEN YOYO+ 6+ STROLLER UP FOR GRABS! Yes, I am selling this precious stroller and I only have 1 of this so first come, first serve okay. First of all, thank you BabyZen for this gift (technically I've won it but anyways), and no this is not a sponsored post please. Heh. Here's a story of how I am now a temporary owner of this BabyZen Yoyo+ stroller. Months ago, I submitted a few entrees on the monthly Women's weekly magazine which includes free hotel stay-cation, a set of very luxury looking perfumes, expensive baby stroller (that we will never buy) and others. I actually forgot about the whole thing until..
Yassss. I was so excited when I received this email because it's like a dream (mother-kind of dream) comes true. Of course I went to google it, check the photos, read the reviews and I knew it. KNEW THAT THIS WAS THE PERFECT STROLLER ESPECIALLY FOR TRAVELLING. Heh. This is not my first time of winning in the monthly Women's Weekly mini competitions actually. I've won quite a handful of items so it is very addictive to always buy Women's Weekly magazine and fill up the mini forms on the last part of the magazine, then send it to the address given (in KL). So, yes, highly recommended to join because chances to win something is pretty high. Heh. Anyways, the main purpose of this post is because we would like to sell this precious prize away! I know right. We don't have a baby now, and for this stroller to lie around in the house is just pure waste. Might as well we sell it off to someone who can find joy in using them for their baby at a discounted price! According to Lazada (and BabyZen themselves), the market price for this stroller is RM 2,499.00! Well, obviously I will give you discounts if you buy it from me because we're friends and because you are spending time reading this. With the amount of money that you invest on this, you (and your baby and your spouse) will get to enjoy a very convenient life and here are some reasons why. Babyzen Yoyo+ folds and unfolds and is carried like a bag. Its backrest can be inclined to 145° in several positions. Features comfortable padding with a 5-point harness. Thanks to its comfortable padded shoulder strap, you can carry it like a bag, for example when your child wants to walk, or by hand, using the chrome handle. And when you unfold the YOYO+, the shoulder strap automatically slips into the basket. Can I really board the plane with my Yoyo+? How do I secure the front wheels for 'soft road' use? You no longer need to block the front wheels on your YOYO+! Its wheels are equipped with the patented "Soft-Drive" system, which eliminates speed wobbles on rough terrain. Yes, in its "push-push" mode, which has an even simpler pedal design. With an aluminum frame and wheel axles, stainless steel and high performance technical plastics, all of its materials can be recycled. Without any plastic wrapping, our cardboard packaging is recycled and printed with soy-based inks. Yes, of course, all YOYO+ fabrics can easily be taken off and machine washed at 30°C. Yes, 6+ and 0+ color packs are sold separately, so you can change colors whenever you like. All 0+ and 6+ fabrics are interchangeable on all YOYO frames (YOYO and YOYO+), except on frames that are incompatible with non-reversible seats. RM 2,499 ----> RM 2,000 only! That's 20% savings for you okay. Okaylah, add on two (2) Yeo's new Chrysanthemum and Lo Han Kuo box drinks for you, okay? And free delivery for you (only in Malaysia though). Heh. Please feel free to email me or reach out to me on Facebook if you are interested to get this precious baby okay. It's definitely a must-have if you love travelling and you want to continue to enjoy your travels alongside with your baby (ies). Cannot wait to hear from you all soon! Oh oh and if you do not have any interest in this (because you don't have a kid of your own yet), please help me share this post to your friends, colleagues, mothers-to-be because I would really love to sell this off! I'm assuming no shipping to US?